The results of the European TRUST (Transitions to the Urban Water Services of Tomorrow) project were presented at the end of April 2015 in Mülheim (Germany); they are the product of a four-year European collaboration on the transition to more sustainable urban watercycles. Together with IWA, TRUST organised a three-day congress to present the fruits of the collaboration between European knowledge institutes, business, water companies and cities. During the four years of TRUST’s course, the consortium members worked together in developing tools to measure the sustainability of the urban watercycle. One of these tools (City Blueprint) has already been applied in more than 45 cities worldwide. The consortium also developed a roadmapping method which, with the involvement of all stakeholders, allows the shaping of a transition to more flexible and sustainable urban water services. Models produced within TRUST determine which scenarios and interventions most benefit citizens and the environment. The project also further developed and tested a number of interventions – including non-technical ones – in areas like the selection of water sources, water and energy consumption, asset management and urban flooding. TRUST was conducted during 2011-2015 by a consortium of 30 partners under the leadership of the German ARC partner IWW. KWR was a member of the core team. 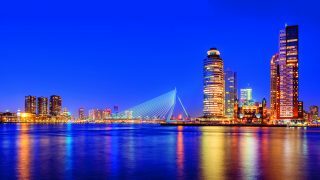 All ten of the water companies and cities involved (including Waternet and Amsterdam/Schiphol from the Netherlands) played a crucial role in developing and testing the project’s end-products. Several of these have in the meantime been incorporated into water practice; for example, the roadmapping method is being applied in projects that contribute to promoting the circular economy in Amsterdam.